Welcome to Tybee Island, Georgia! If you’ve not experienced the ambiance and relaxing lifestyle of a pristine seaside resort, you owe it to yourself to visit Tybee Island – Savannah’s Beach! 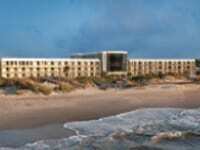 Drive 20 minutes east of Savannah, GA, and you’ll find Tybee, boasting five miles of public beach backed by undulating sand dunes waving their sea oats and endless views of the Atlantic Ocean – perfect for sunbathing, walking, biking, sailing, fishing, or frolicking like the Atlantic Bottlenose Dolphins in the rolling waves. 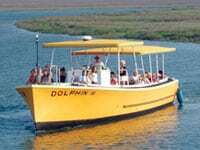 Captain Derek’s Tybee Island Water Adventures – Voted Best Dolphin Tour on Tybee! Guaranteed Dolphin with over 700 hp for a thrilling time on the water! Tour lasts 1-1 ½ hours. Bring your cameras and join in on the fun. Also, don’t miss out on our fishing charters! Turn left opposite Tybee Island Welcome sign. (912) 658-2322. 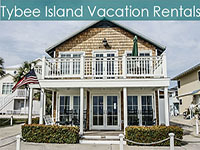 Whether you are looking for vacation condos, a beach cottage, or a large home for extended family & friends, we have the right Tybee Beach Vacation Rental for you! 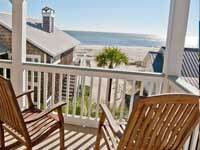 Many rentals featuring heated pools, hot tubs and breathtaking ocean views. (800) 786-5889. 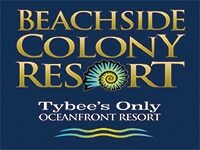 Only 15 minutes from historic downtown, Beachside Colony Resort is the perfect choice to make the most of your visit and spend time at the beach. 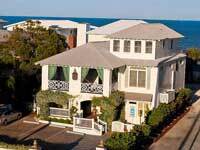 You can relax enjoying our onsite pools, restaurant and beachfront location in any of our 1, 2, or 3 bedroom suites. (800) 786-0770.